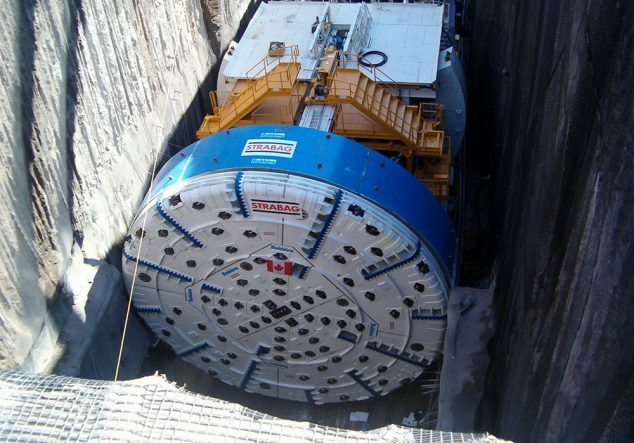 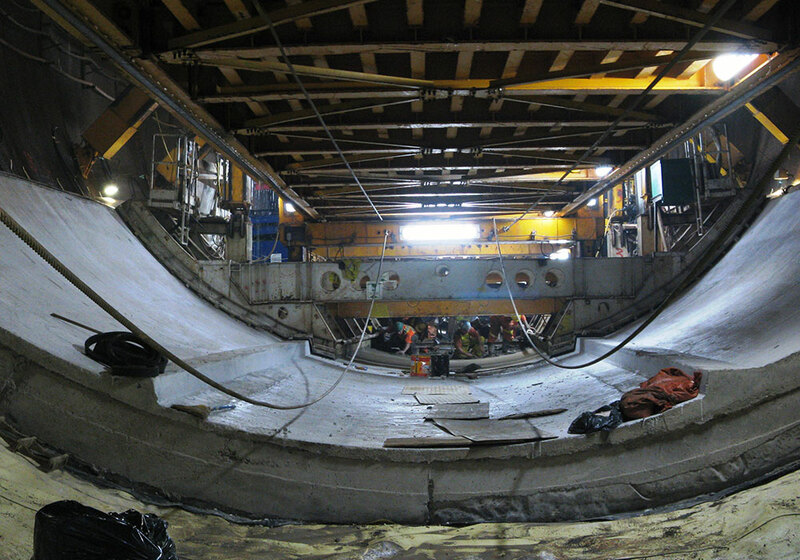 The full construction of the tunnel includes the removal of 2.1 million cubic meters of rock and fill and the placement of a concrete tunnel lining totalling 400,000 cubic meters of concrete. 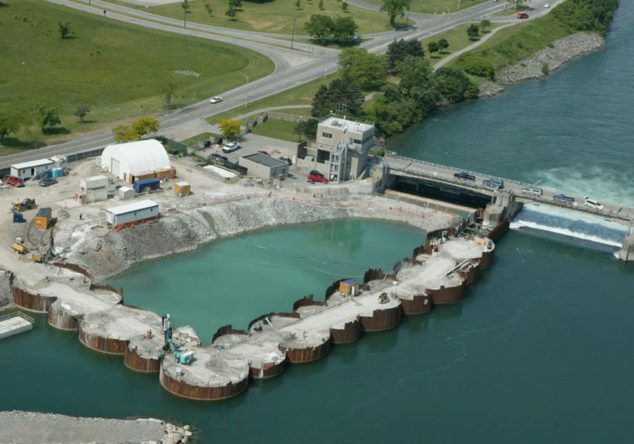 Included in the design and construction at the upstream end of the tunnel in the Niagara River is a circular cell cofferdam, a concrete acceleration wall, a concrete pier extension, and an ice deflection groyne. 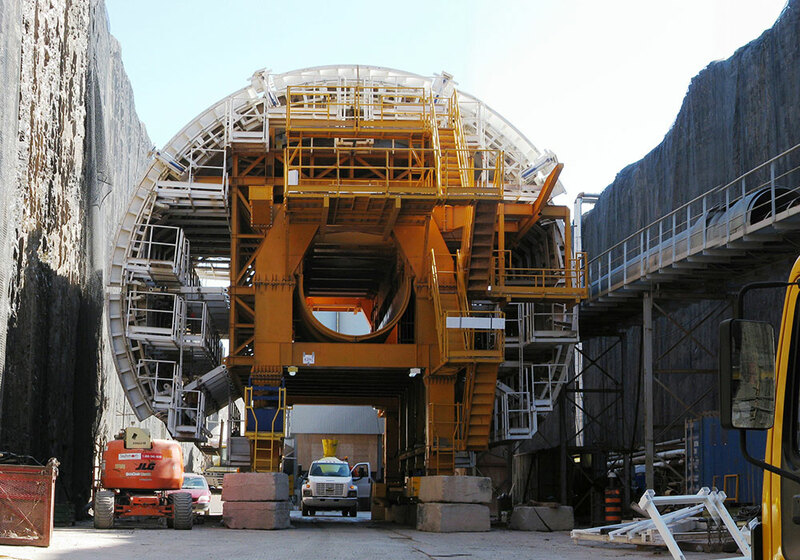 Included in the design and construction at the downstream end of the tunnel in the Pump Generating Station Channel (PGS) is the removal of the rock plug underwater and the demolition and removal of the PGS Structure. 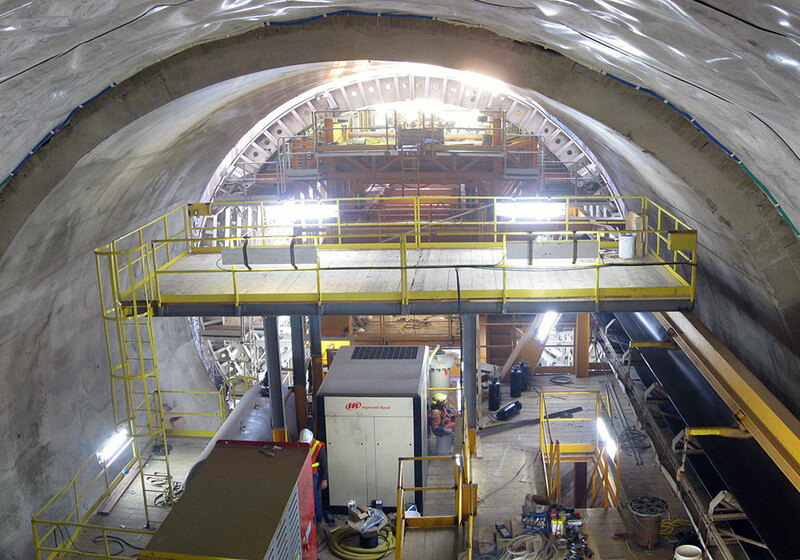 Also included in the design and construction are two concrete structures at the inlet and outlet of the tunnel totalling over 10,000 cubic meters of concrete.